Lyndel Mansion Our records show that this inn is closed. Oregon bed and breakfast travel guide for romantic, historic and adventure b&b's. 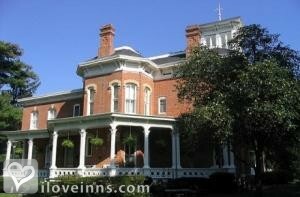 Browse through the iLoveInns.com database of Oregon, Illinois bed and breakfasts and country inns to find detailed listings that include room rates, special deals and area activities. You can click on the 'check rates and availability' button to contact the innkeeper. Shouldering the banks of the scenic Rock River, Oregon, IL is a town of great history and singular wonders-unmatched in Northern Illinois. Its rural charm flows from the rolling river valley. It is a place rich in cultural heritage influenced by the creative efforts of those artists who once lived at Eagle's Nest, high on the bluffs above the Rock River. By Pinehill Inn. Located in the heart of the Rock River Valley, Oregon, Illinois boasts four state parks within seven miles, a historic, quaint downtown and antique shopping or just good food. By Pinehill Inn. Oregon, Illinois sports roolling hills, the Rock River, four state parks within 10 minutes and miles and miles of hiking and biking trails. Also we are on the antique trail and the chocolate trail. By Pinehill Inn.